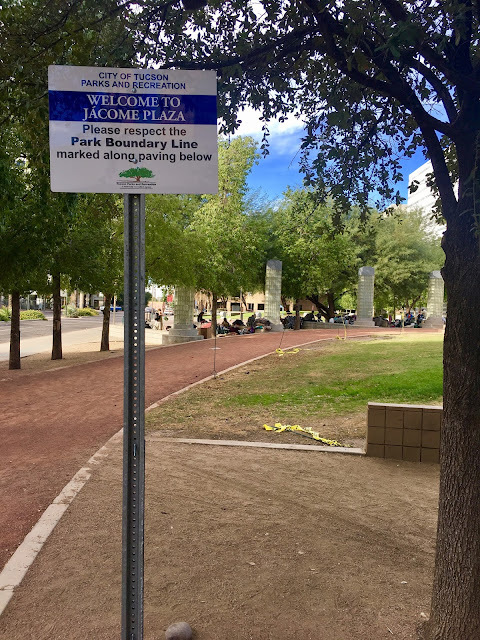 Jacome Plaza, a green space in the center of downtown Tucson, Arizona. Beyond the sign were at least thirty homeless people lounging and sleeping on the concrete steps. I guess you can be a vagrant as long as you "respect the park boundary line".